This post has already been read 2515 times! KEARNEY – Tradition, Loper pride and fun – lots of fun. Those are the words organizers use over and over when talking about homecoming week at the University of Nebraska at Kearney. “When someone is asked what their favorite event is at UNK, they usually name an event that happens during homecoming week. That’s because the whole campus and community come together to show our Loper pride,” said UNK student Pamela Felix, a homecoming co-chair for Loper Programming and Activities Council (LPAC), which plans many of the festivities. This year’s celebration, set to the theme “Circus: Experience the Magic,” begins Monday and continues through Sept. 15, when the UNK football team battles Emporia State University at Ron and Carol Cope Stadium. There are plenty of activities leading up to that game to keep UNK students, alumni and supporters entertained, including the Loper Feud based on the popular TV show “Family Feud,” a lawn display contest, adventure race and canned food build that supports local food banks. 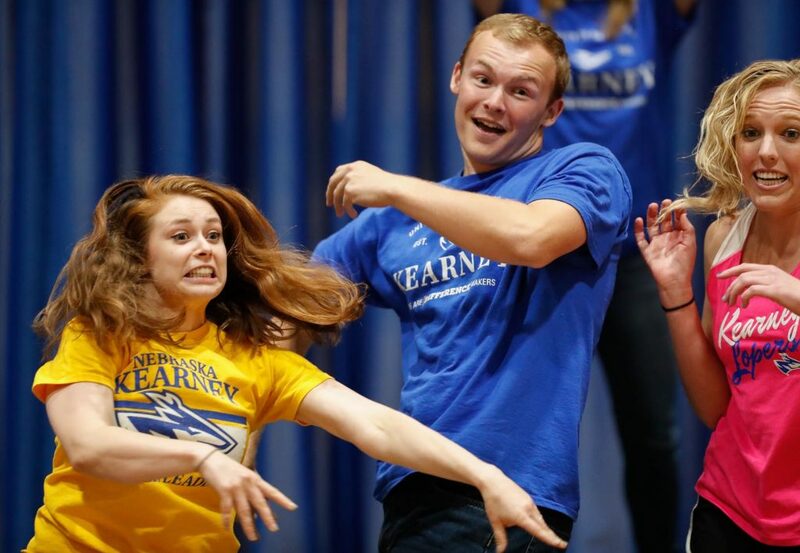 The state’s largest lip-sync contest, which regularly draws a crowd of more than 1,500 people, is 7 p.m. Thursday (Sept. 13) inside the Health and Sports Center, followed by the crowning of UNK’s homecoming royalty. On Friday (Sept. 14), the UNK Athletic Hall of Fame will induct new members Matt Bruggeman, Lance Pfeiffer, Paula (West) Mayfield, William Jacome and Richie Ross during a 5:30 p.m. banquet at the Nebraskan Student Union, and the Loper women’s soccer team faces Washburn University at 7 p.m. The homecoming parade begins 10 a.m. Saturday (Sept. 15) at the Museum of Nebraska Art, 2401 Central Ave., in downtown Kearney. The route progresses south on Central Avenue, west on Railroad Street, north on Third Avenue, west on 21st Street, south on Eighth Avenue and west on 20th Street before ending on Ninth Avenue. Kickoff for the UNK football game is scheduled for 2 p.m. Homecoming royalty and UNK Athletic Hall of Fame inductees will be recognized at halftime, along with the announcement of homecoming sweepstakes winners – a weeklong competition between sororities, fraternities, residence halls and other student organizations. 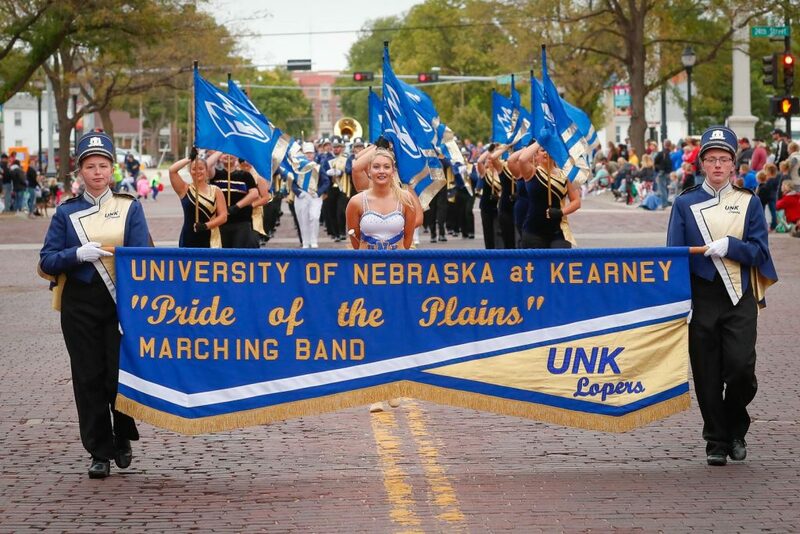 The UNK Sapphires Dance Team and Pride of the Plains Marching Band will also perform. Other homecoming highlights include the Distinguished Alumni Awards Luncheon at 11:30 a.m. Friday (Sept. 14) at the Nebraskan Student Union Ponderosa Room and the One Room, One Teacher ceremony at 3:30 p.m. that day in the College of Education building. Alexis Milburn, who is co-chair of LPAC’s homecoming committee along with Felix, said a lot of organizations and groups come together to make the week a success.